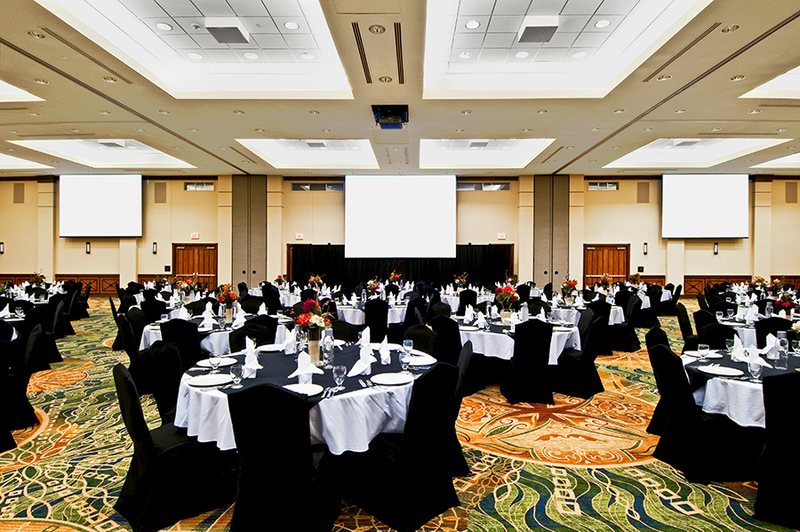 Norman offers three hotels with meeting and event space that can accommodate conferences of various sizes. Embassy Suites Norman Hotel & Conference Center confidently caters to business meetings of all kinds. The hotel boasts over 50,000 square feet of adaptable meeting space and nearly 20 separate meeting rooms, including a 28,000-square-foot ballroom. No matter the size or shape of your meeting or occasion, this hotel has the facilities to accommodate it. The National Center for Employee Development is a world-class training, learning and conference facility. With more than 75,000 square feet of versatile space, it is equipped to host an extensive array of events – everything from large government conferences to intimate corporate board meetings. Nearly 50 meeting rooms ranging in size from 700 to 9,000 square feet make up the expansive facility, which also boasts three ballrooms. The main ballrooms offers nearly 9,000 square feet of space and can handle up to 850 attendees theater-style and as many as 600 guests for banquets. A smaller ballroom of approximately 6,500 square feet is capable of accommodating 450 people theater-style and 300 for a banquet. The Marriott Conference Center at NCED is a federally owned facility managed by Marriott.